Tulsa Pop Culture Expo is a melding of three local pop culture organizations: Tulsa Pop Kids, XPO Game Festival, and OKPOP Museum. 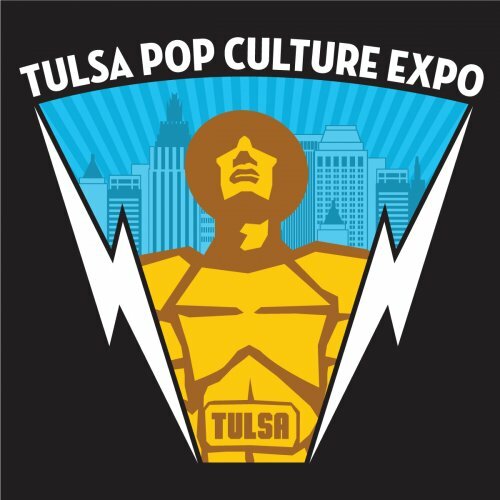 Tulsa Pop Kids will bring a comic con atmosphere with exciting guest appearances, great vendors, and a fun Kids Zone. XPO Game Festival will be on site with upcoming games, indie game competitions, cash tournaments, and retro games. OKPOP museum will be there to provide an historical perspective on how our neck of the woods became so pivotal in what pop culture looks like around the globe. It will be an exciting and fun experience that you won’t want to miss. Times may still change but for now were looking at 4:00 - 9:00 PM Friday Nov. 1st, 10:00 AM - 7:00 pm Saturday Nov. 2nd, and 10:00 am - 5:00 PM on Sunday Nov. 3rd. We are doing a limited price as we put things together. The more tickets that get bought now means better talent, and activities. If were going to have a convention that is huge, we need all the local support we can get! !